Life on the island is all about cross-pollination. 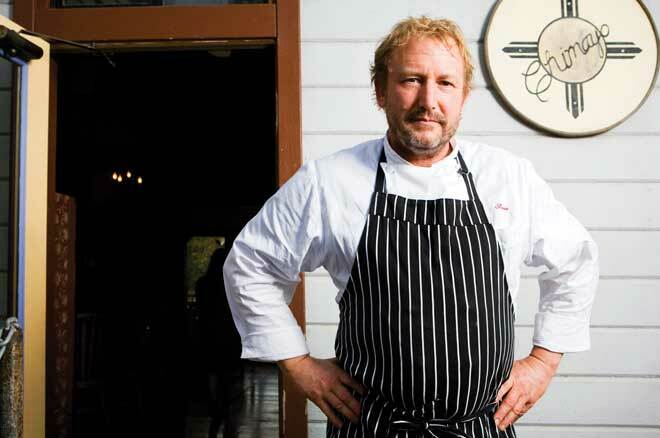 On Orcas Island in the San Juans, especially, farmers and chefs, ranchers and brewers are friends, partners and cohorts in the category of “living the dream.” More and more a foodie destination, Orcas Island is doing a few things very well. There’s not a lot of cultural redundancy (except maybe the yoga studio on every corner). There are two bakeries, two shellfish farms, one brewery, one coffee roaster and one chai producer, five or six producing farms, one chocolate shop, a few cafés, one tavern and just enough restaurants. In the summer, it buzzes with tourists, but locals still manage to live slowly. Oldsters and youngsters are friends, and farm stands still run on the honor system. People come here to heal, to find balance—and to eat and drink well while they’re doing it. Toni Hermansen and Mark Wright are used to neighbors popping in for oysters. Toni’s Shuck Shack (Olga, 77 E.J. Young Road; 360.376.5280; buckbayshellfishfarm.com) is an old boatbuilding shed transformed into an icehouse of a sort, with bins of oysters and clams just plucked from Buck Bay and seasonal seafood bought from local tribes. 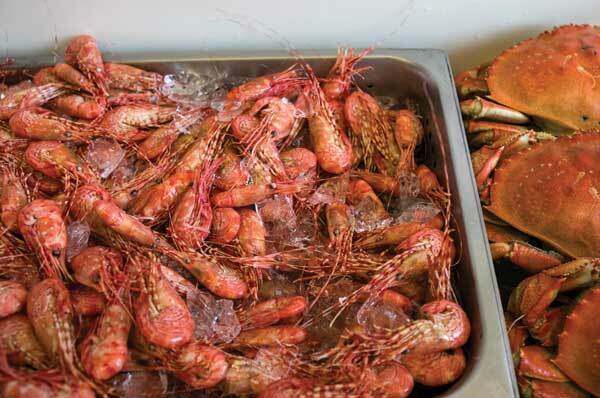 From Memorial Day to Labor Day, the Shuck Shack sells cooked crabs as well, and you can sit at an outdoor table and crack open your shellfish while looking out over the oysterbeds and some of the best sunset views on the island. Ian and Erica Harlow and Ian’s parents, Rob and Brenda, have farmed their 20-acre plot since 1985, growing vegetables and plums and apples. They have one of the most popular (and most adorable) self-serve farm stands on the island, which now houses a clothing thrift store, since the island’s beloved Exchange succumbed to fire in February. Eastsound, Mount Baker Road; 360.376.4073. A farmer wears many hats, and John Steward of Maple Rock Farm (Eastsound; 360.622.6433; maplerockfarm.com) wears more than most. When he’s not actively farming (and sporting a straw hat), he’s a mentor, entrepreneur, pizzaiolo and restaurateur. In addition to his 6 acre farm, he runs a CSA and farmers’ market booth, and he is also business partners with Inn at Ship Bay chef/owner Geddes Martin in the charming Hogstone’s Wood Oven (Eastsound, 460 Main St.; 360.376.4647; hogstone.com), a stone-oven pizzeria with nightly special salads and farm produce. In late June, the thin, chewy-crusted pizza featured Myers Creamery fresh chevre and Maple Rock fava beans. Christina Orchid put Orcas Island on the culinary map. Or rather, when she started her eponymous restaurant perched at the head of East Sound in 1980, hers was the only restaurant on the map, and she held court as the grand dame of Eastsound for 28 years. She sold it, and eventually, Lisa Nakamura opened the charming Allium in the same space. 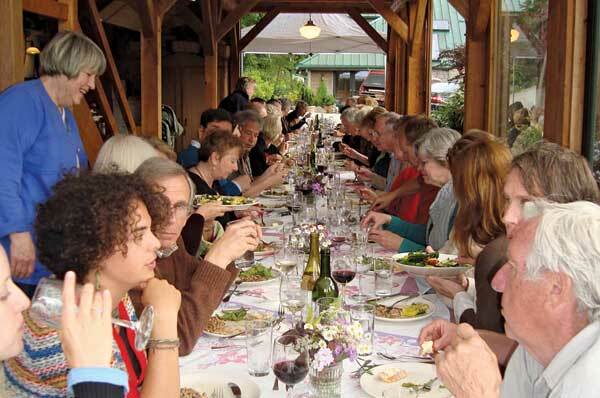 Since “retiring” in 2008, Orchid and her husband, Bruce, have built a commercial “cookhouse” on their 15-acre farm (Eastsound, Payton Lane; 360.376.3208; redrabbitfarm.com), with an open dining room that can accommodate a table of 60, complete with tilted mirror so dinner guests can watch cooking demos. Sundays offer an open family-style dinner featuring whatever is fresh from local farms, from sweet carrots to a leg of lamb grilled on the outdoor fire (reservations required). On Saturdays, find the Orchids at the Orcas Farmers’ Market (Eastsound, May–September; Village Green; orcasislandfarmersmarket.org) selling preserves, barbecue sauces and pepper jellies. For more than 20 years, the island has been blessed with an excellent bakery and culinary hub, Roses (Eastsound, 382 Prune Alley; 360.376.5805), which produces perfect baguettes, hearth, rye and other classic loaves, and offers a small but excellent selection of cheeses and charcuterie, including locally made Myers Creamery goat cheeses. The café is consistently superb, under the direction of chef Dante Miller, who works with the freshest seasonal offerings, including the seasonal bread salad with Salish Sea smelt, green olives, Italian parsley and house oven-dried tomatoes. Just across the courtyard from The Kitchen is the island’s newest—and swankiest—cocktail bar, The Barnacle, the brainchild of entrepreneur Jared Lovejoy. Housed in a tiny, quaint white studio, The Barnacle serves hearty noshes, such as “The Pig War,” with Kitchen-made pulled pork, pork belly, Jones Family Farms sausage and house-pickled vegetables. Creative house cocktails incorporate locally grown herbs and flowers, as well as Northwest spirits, including San Juan Island Distillery’s Spy Hop gin and island-grown lavender and wild Nootka rose liqueur. Eastsound, 249 Prune Alley; 360.376.5683. Note: As part of the cross-pollination she writes about, Orcas resident Shannon Borg has worked for and with several of the farms and restaurants in this story. Departures: Sporadically, starting at 6 a.m. and ending at 11 p.m. Tip: If you really need to make a specific ferry in the summertime, arrive two hours early. They fill up! Bring a nice picnic, lunch down on the beach and wander the new wetlands trails nearby.